Fresh baked, puffy biscuits. Pulling apart crawfish to get that one, tiny bite. 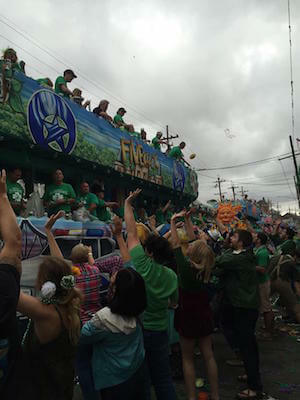 Catching beads off of floats while holding a beer in one hand and high-fiving a baby with the other. Intrigued? Then you need to visit New Orleans for a weekend. And with Tulane University in the heart of New Orleans, students have no excuse to miss out on the colorful weekends in NOLA. Get your stomachs and Mardi Gras beads ready for the 10 best weekends in NOLA. “Between the killer lineup, beyond talented artists, and awesome crowd, there is no weekend that better represents the unique spirit of New Orleans culture,” said Tulane sophomore Dawn Edelman. In the middle of March (the 10 and 11 in 2017), you can enjoy a weekend filled with perfect weather, good music and great art. Feel free to get into the real New Orleans style by eating crawfish with grits, jumping around to good music and decked out in your brightest, colorful attire. 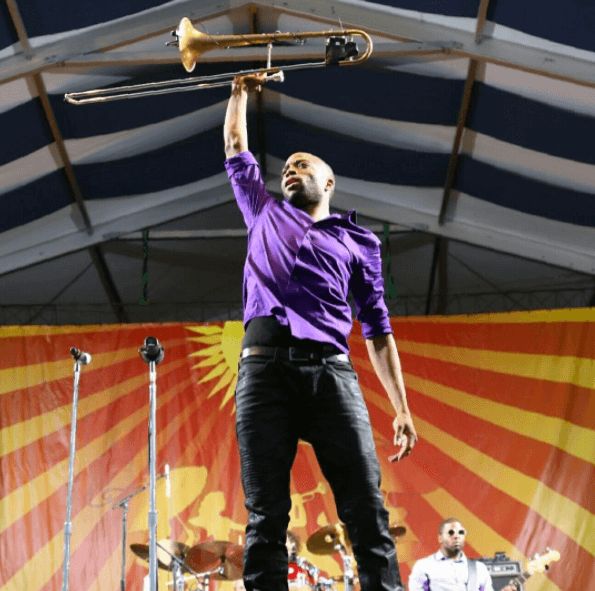 For people who love food and music—AKA everyone—purchase a ticket to the Jazz Fest ASAP. 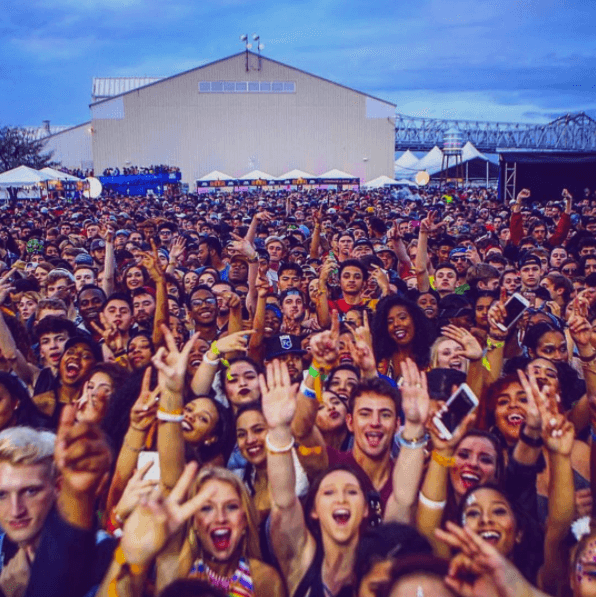 In typical New Orleans style, this event fills the town with jazz music and other music as well—last year, Stevie Wonder, Nick Jonas and Snoop Dogg were the headliners. Aside from loud beats, there’s enough food to feed the entire city. People of all ages, no matter your location, are welcome. “I love all the music and culture of New Orleans that Jazz Fest holds,” said Tulane sophomore Sam Steiner. Despite the festival’s time conflict with finals week, Tulane students can never stay away. Walking through the streets you’ll see college students, infants and even grandparents dressed in bright colors jumping and screaming for beads. The whole city shuts down, Tulane students don’t have school and the town feels alive. “Going down to St. Charles and hanging by the tents, catching beads, drinking and seeing all the crazy people is the best experience,” said Tulane sophomore Noah Katz. If you love parties, dressing up and alcohol then get your yellow, purple and green clothes ready for the Mardi Gras of a lifetime. Indulge in a doughy, braided bread, covered in frosting and cinnamon with a hidden baby inside—a toy baby, of course. 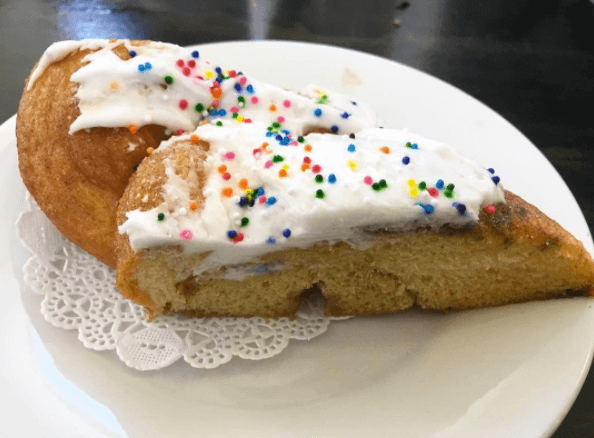 If you’ve never heard of King Cake before, don’t worry. Many people outside of New Orleans haven’t heard of this sweet treat, but when they try it for the first time they understand the immediate obsession. “I never would have thought that a crawfish king cake would be amazing, but it was. I’m so happy I went to King Cake Fest so that I could try this,” said Tulane sophomore Leah Howard. 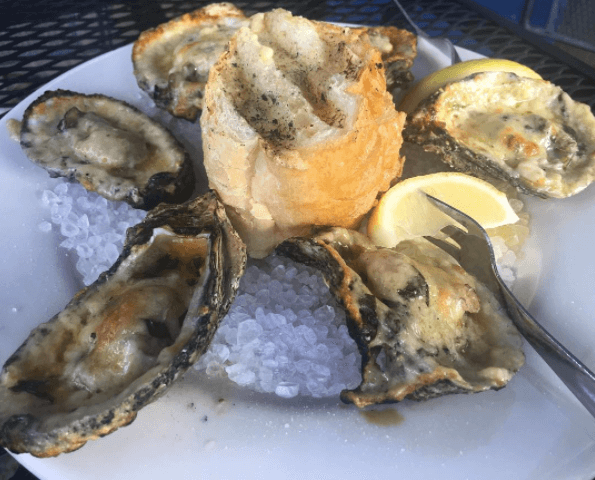 Though under-advertised underrated, you can find the best NOLA food here. You probably wouldn’t think of New Orleans when you think of Saint Patricks Day. 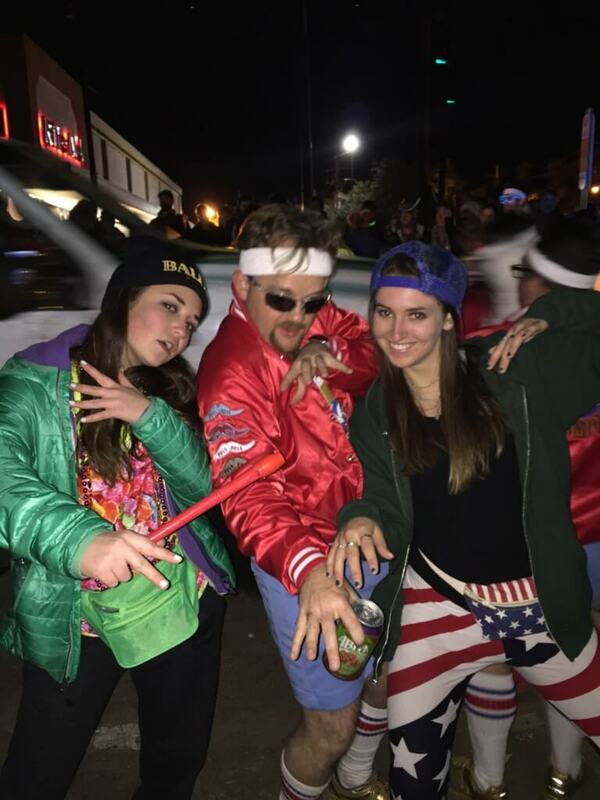 “Saint Patricks Day has Mardi Gras sized floats and a huge festival on Magazine St. Restaurants sold food on the street and had green beer and green jello shots for sale, and the parades throw full heads of cabbage,” said Tulane sophomore Rachel Meisner. Saint Patrick’s Day fills Tulane with families picnicking on the streets while, once again, waiting to catch beads. You won’t want to miss out on this lucky day. 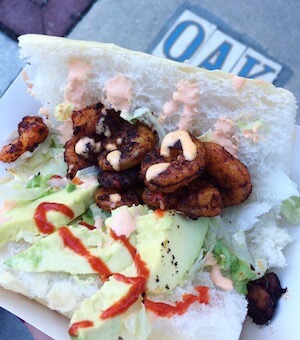 During the coldest time of the year, New Orleans Po Boy Fest will surely keep you warm. All of the main events in New Orleans include food, alcohol and fun. “Everybody is just trying to eat some grub and drink some beer. They have their priorities in the right place,” said Tulane junior Nina Riffaud. In other places, Po Boys are known as sandwiches or Gyros, but for some reason they taste so much better in New Orleans. Any meat, fish and vegetable can be found in them and will leave you with an extremely full stomach. If you love seafood and shellfish, then come to New Orleans any day of the year. But if you want the best of the best, come to New Orleans the first weekend of September. This festival not only has the best seafood but also live music, cooking demonstrations, an arts fair (and beer, obviously). 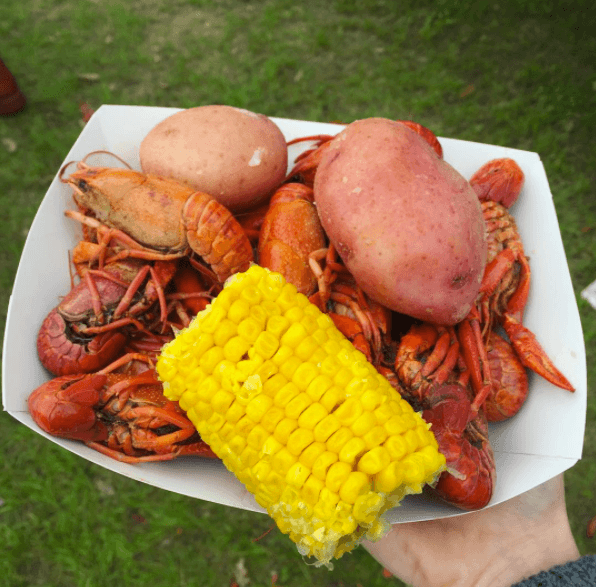 “The Louisiana Seafood Festival is the perfect opportunity to sample delicious food from famous NoLa Dining establishments like GW Fins, Galatoire’s and Superior Seafood all in one place for a fraction of the cost of going to the restaurants,” said Tulane junior Elizabeth Jacobs. Not only is this a fun and filling festival, but it also benefits the Louisiana Hospitality Foundation. 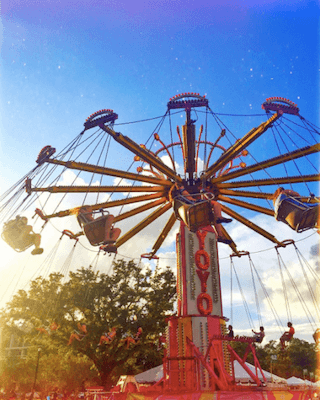 Take in the beautiful campus of Tulane during Fridays at the Quad; you won’t want to miss out on the great music, food and even carnival rides and games. After taking in the perfect weather on the quad, everyone walks through Audubon Park with a bottle of wine, chips and guac for the Fly, a grassy area in Audubon Park which overlooks the Mississippi River. The Fly is small, but big enough for hundreds of Tulane students to spend their Fridays. You can find almost every Tulane student hanging out and leaving the stress of the school week behind to watch the colorful, perfect southern sunset. The countdown to Crawfest starts the day that it ends. “Last year was my first Crawfest. I had never tried crawfish before and it was honestly pretty scary to look at. The process of taking apart the shellfish to finally eat it was a long one, but totally worth it,” said Tulane sophomore Rachel Epstein. Crawfish scraps can be found on the ground for days following. Your nose will be filled with the seafood smell while walking to class. Rain or shine, you can find all of Tulane and many New Orleans families inviting in the spring weather at this festival. 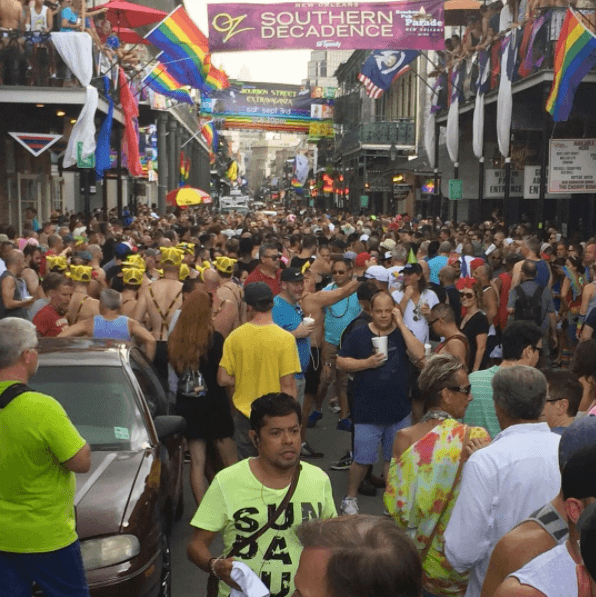 Southern Decadence celebrates the LGBT community and attracts everyone in New Orleans. “It was so amazing to see people celebrating themselves in a New Orleans style and culture. Yeah, there are parades everywhere but I’ve never seen one like this. Everyone was so happy to walk around and be who they truly are,” said Tulane sophomore Leah Howard. The parade takes place in the French Quarter, where there’s no limit to the outfits you will see—rainbow head to toe, colorful wigs and the brightest makeup. Not only does this day bring fun to town, but also fills everyone with joy to see all different types of people coming together.